Arrowhead Adventures — Team Building & More! 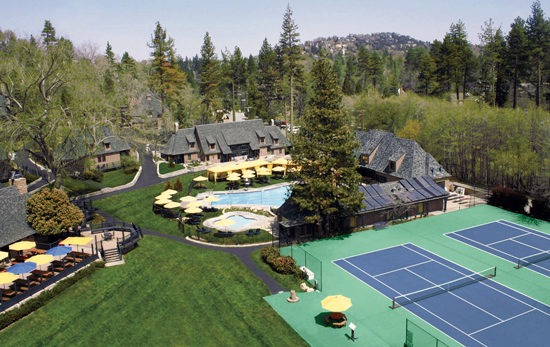 The UCLA Lake Arrowhead Conference Center proudly serves groups from all over the world, with all types of attendees, objectives and agendas. We’ve learned that the key to creating and maintaining a successful business, operation or team lies in strengthening the connections between people. 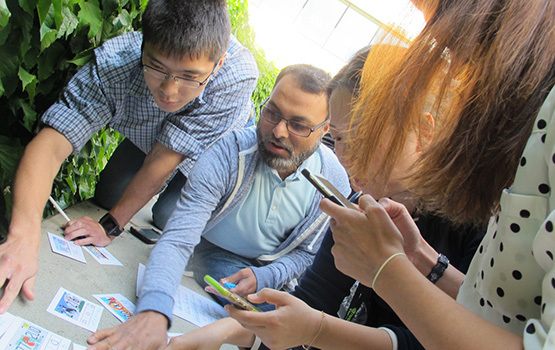 As a result, we’ve created Arrowhead Adventures — Team Building & More! These facilitator-led activities are fun and stimulating for all ages and abilities and promote problem solving, teamwork, and individual commitment. Each activity is an optional “add-on” to enhance your group’s conference experience. Our Conference Coordinators work with you to design a program specific to your group’s goals, or you can select from our list of various activities below to customize your experience. Prices vary according to program and group size. 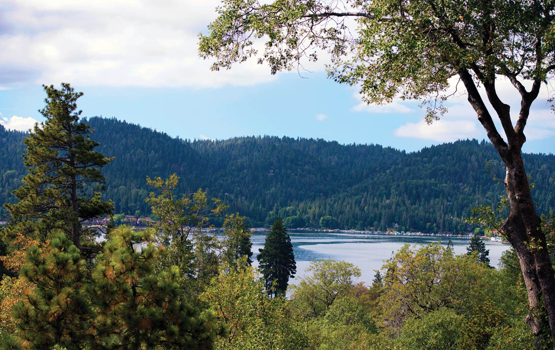 For more information about current rates and availability for Arrowhead Adventures, please contact us at (909) 337-2478, or feel free to email us at UCLALakeArrowhead@ha.ucla.edu. Full Day: 9:00 a.m. – 5:00 p.m. with lunch break from 12:00 – 1:00 p.m.
Half Day: 9:00 a.m. – 12:00 p.m. or 1:00 – 4:00 p.m. Minimum of 8 people, must be booked 30 days in advance. Hosted by our Executive Chef, this is our version of TV’s Iron Chef. 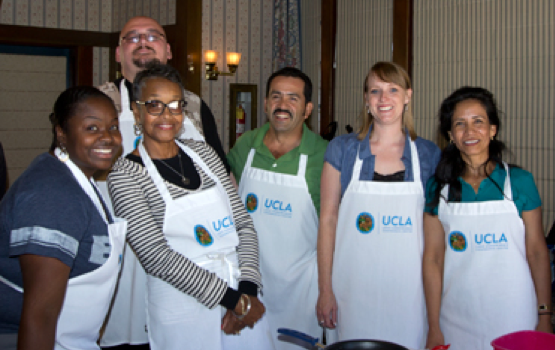 Large groups are divided into smaller teams and provided with their own cooking station and staple ingredients. Groups are challenged to work together to create an entrée which will be judged for its ingenuity, taste, appearance, and application of teamwork. It’s a very fun, upbeat way to work together as a team while forming lasting memories. Minimum 12 people, maximum 45. This event lasts one hour, fifteen minutes. This course can be booked as part of the Professional Team Building Program or separately, as an individual-based adventure. 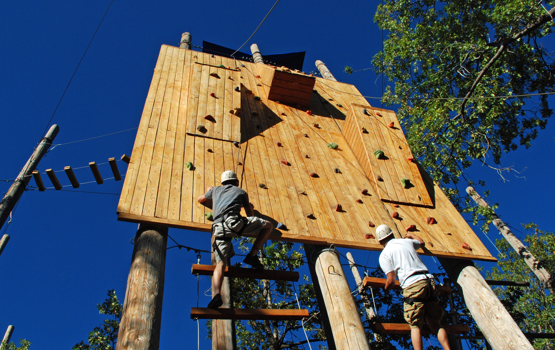 The Challenge Course is based on a “challenge-by-choice” philosophy, with all activities being voluntary as participants push their perceived limitations, earn a true thrill, and make lasting memories all while being belayed by trained professionals in technically-sound gear. Minimum weight of participants is 70 pounds (must be able to fit in our harnesses). Locked in a room full of mysteries together, your group must work against the clock to solve one puzzle after another — with each success building on the last — until the group achieves victory… or until time runs out. The Room Escape Challenge takes a good mix of determination and collaborative thinking to master. The maximum number of people per session is 16; minimum is 4. We can run two sessions simultaneously to accommodate a total of 32 participants in separate rooms. This event lasts 60-90 minutes. This hunt is a fun way to explore our historic property as your group races against the clock to solve clues and reach the finish. Each clue leads to a location on our property where teams will learn more about each other or test their trivia knowledge. We offer guided tours for hikers of all levels, from an easy family trail to an advanced, rigorous trail. The Beginner Hike takes groups through a historic Serrano Indian settling area where metates (acorn grinding rocks) are visible. Weaving through a picturesque and peaceful meadow, this hike is relaxing and predominantly flat. Allow two hours for hike and transportation to and from the trail. The Advanced Trail is a rigorous hike that takes groups up to one of the tallest peaks in the area. This excursion offers a truly stunning view of the valleys and ranges of the surrounding wilderness. This challenging hike is 4 miles round-trip and lasts approximately 3 hours (including transportation and dependent upon the speed of the hikers in the group). Minimum of 8 hikers to book; van transportation is provided for up to 14. 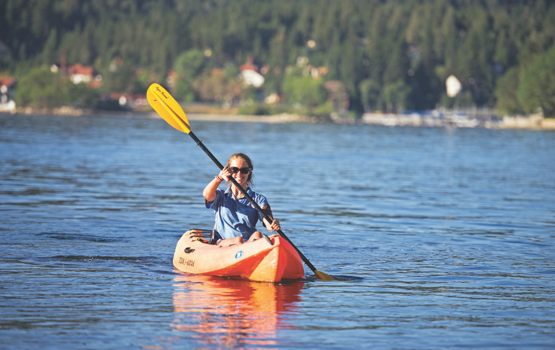 Available seasonally, we have enough kayaks to accommodate 12 guests for a 1.5 hour tour led by our guides. Minimum of 4 people, maximum of 12 per tour. Biking is a great way to have fun together while exploring the local forest. The Beginner Trail is relatively flat and weaves out into the forest. This tour provides a good workout with great sightseeing, but isn’t too technically or physically challenging. The Advanced Trail is for experienced riders who will enjoy a single-track trail through meadows and steep hills (both up and down). Both trails connect to the property, so no vehicle transportation is required. Minimum of 6 people to book a tour, maximum of 17 per tour. Tours last approximately 2-3 hours, dependent upon skill level of riders. Bikes, helmets, and guides are included. 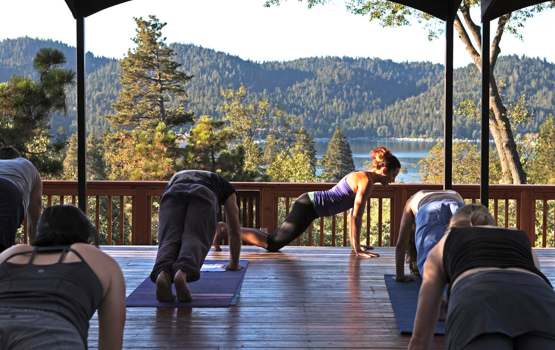 A local yoga instructor will visit the property and host the class in one of our conference rooms or on our relaxing Zen Deck. Minimum of 6 people to book. Classes are one hour long. If your group has a budget between $2,500 and $5,000 or includes more than 60 people, consider booking one of the following programs, which offer a great way to have fun together while experiencing growth as a team. Some of these options are also charity based/community-benefiting programs that give your group an opportunity to help others while enjoying a great time together. Each event is emcee’d and led by trained facilitators. A dynamic and high-energy scavenger hunt, groups race around our property completing tasks and solving clues in a race against the clock. A charity-based event, teams construct sculptures in the shape of famous landmarks using canned goods, which are then donated to charity. Fun and upbeat, this challenge is a meaningful way to get creative and laugh together through friendly competition. A great way to enjoy the outdoors, these mini-Olympic events require that teams work together and use their wits to achieve the title of Champion. Events range from mental to physical challenges, and everyone can participate! This interactive event challenges groups to best one another in a series of hilarious games in order to win... bicycle parts. Of course, there’s more to this charity-driven activity: Once a team has won all the required parts, they work together to build a children’s bicycle, which will be donated to a local charity. Exciting and fulfilling, this challenge is truly unforgettable! A comedic and “grueling” series of survival challenges, this dynamic course will have everyone laughing while aspiring to be crowned the ultimate champion. This is a terrific teambuilding program where your group divides up to produce and star in their own commercials about why they think customers choose to work with your company! This event is a high-energy, entertaining, and interactive game show that incorporates scoreboards, music, and sound effects just like a real TV show. Great for an evening social or mid-day breakout, this is an unforgettable teambuilding program!